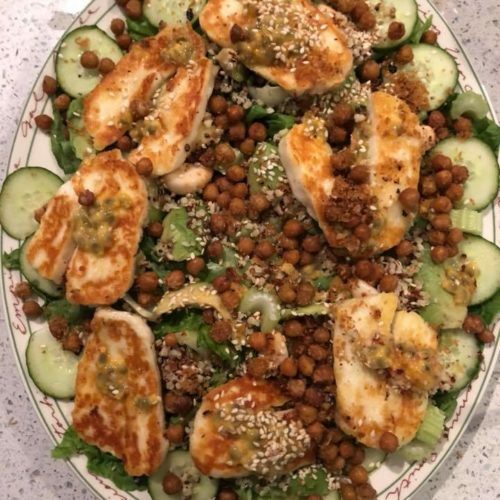 Halloumi, Passion Fruit and Crispy Chick Pea Salad! 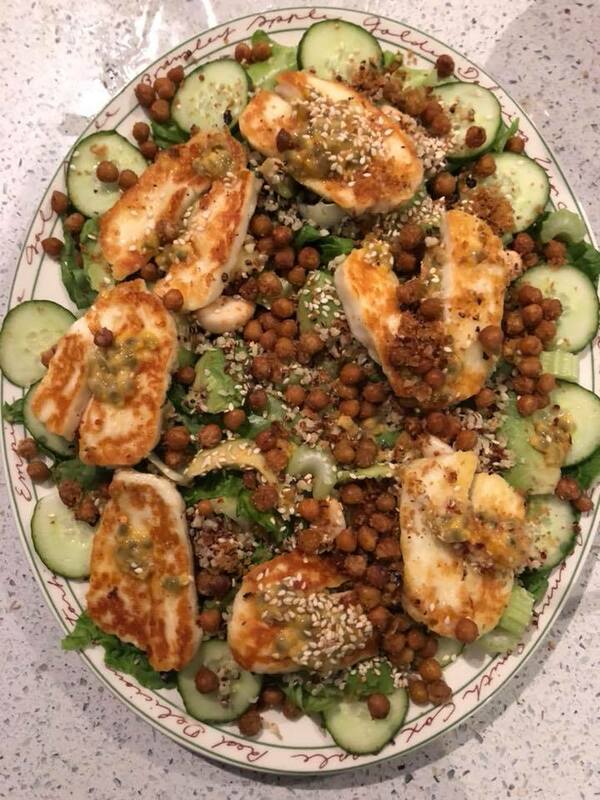 This turned out to be a salad that I’m going to make repeatedly and makes excellent use of the crispy roasted chickpeas I posted last week! I was surprised and delighted to find passion fruit at the local Co op so paired this very unusual slightly tart flavour with the salty halloumi. Not only that but it is SO quick, but also really filling so you really don’t need anything else to go with it. I made this for 2 people and we were happily stuffed! 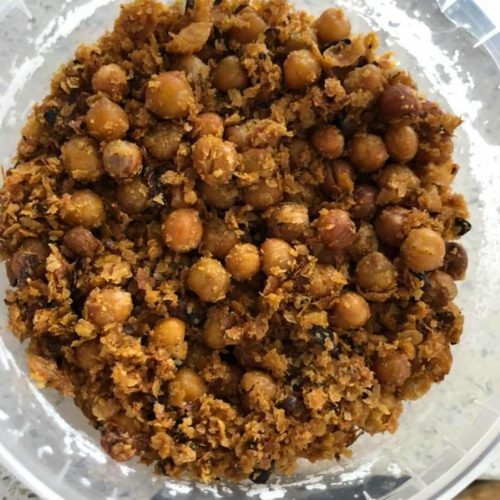 Roasted chickpeas- as many as you like! Simply arrange the salad on a plate while you put the halloumi in a pan and lightly cook on each side until you get a bit of colour. Dress the leaves ( I used a honey and tamari dressing) and then lay the warm halloumi on top. Place small scoops of the gorgeous passion fruit on top of the halloumi. Sprinkle on the chickpeas carefully and lastly, the sesame seeds.